Winter is coming and the days are getting shorter. Most birds need to migrate to warmer habitats to stay warm, but not the Northern Cardinal. They are known for the male’s bright red feathers. Northern Cardinals are non-migratory, that means they are year-round residents. They live in several habitats including woodland edges, swamps, riverside thickets, city gardens and residential areas. They are also often seen at backyard bird feeders! In case you don’t have a Northern Cardinal in your neighborhood we found this fun craft over at iheartcraftythings.com and know you’ll enjoy making one for yourself! For more wintry, holiday crafts, you’ll love Frosty Farm! It’s a relaxed, family-friendly event that includes: hands-on animal encounters, personal photo time with Santa and lots of crafts to take home. 1. 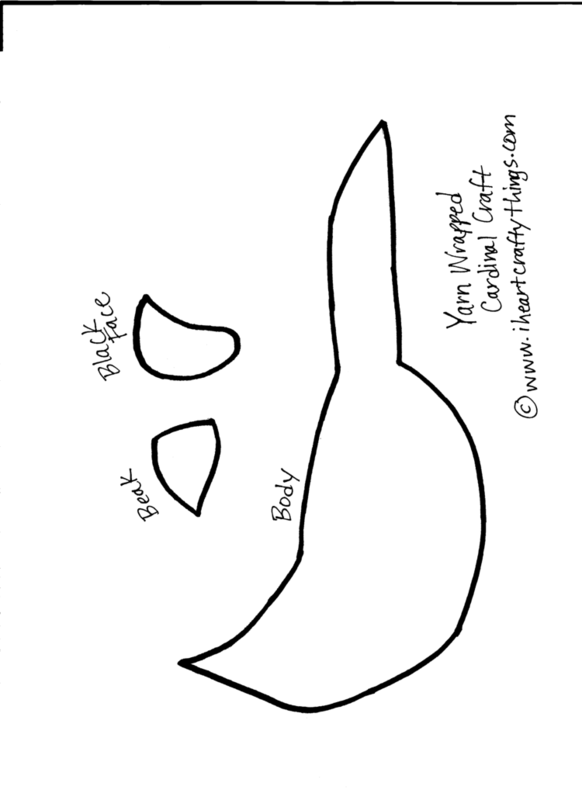 Start by printing out the cardinal pattern, Trace the body onto a piece of cardboard and cut it out. 2. Paint or color your cardboard cardinal with red paint. Let it dry completely. 3. Trace the black face and yellow beak onto craft foam sheets. Then cut them out. 4. Cut off a long piece of your red yarn to wrap around your cardinal. Tape one end of the yarn onto the back of your cardinal, then have fun wrapping the yarn around and around and up and down the cardboard cardinal. When you reach the end of the yarn, tape it onto the back of the bird. 5. Glue your black face piece and yellow beak onto your bird with glue dots or a glue gun Then glue your googly eyes onto your bird. Cut out black legs from your craft foam sheet and glue them onto your bird. 6. Extra Step! Finish your yarn wrapped cardinal craft by gluing a small red feather at the top of the cardinal’s head and a bigger feather on the side of your bird! We hope you enjoyed our holiday Northern Cardinal yarn craft! Be sure to show us and post a photo on Helen Woodward Animal Center’s Education Facebook page if you make it!